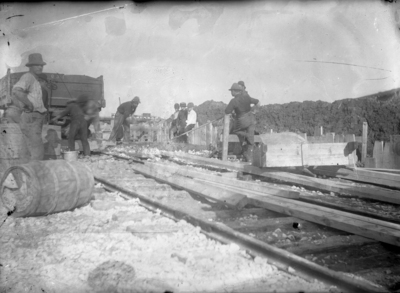 A group of men working on a railroad while three boys watch. City Of Portland, Maine, Annual Report of the Commissioner of Public Works, "Railroad workers" (2018). 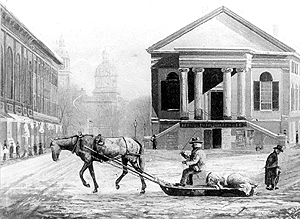 Portland Public Works Glass Negative Collection, ca. 1892-1920. 20.